Jack Runninger on Christmas Letters – Johntheplantman's stories, musings, and gardening. You may have noticed that I like to poke fun at Christmas letters. Here’s an article on Christmas letters from Jack. I think that we could classify parts of this as a Redneck Christmas Letter. 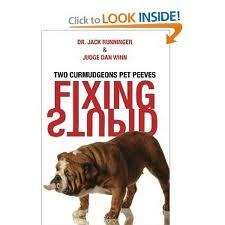 My friend Jack Runninger has written a book (along with Dan Winn, who I don’t know) called “Fixing Stupid”. I keep the book in my bathroom so that I can begin my day with a “Runninger chuckle”. Here is an excerpt from the book titled “Christmas Newsletters” that Jack wrote sometime during his attempt at becoming one of the oldest guys I know who can still walk. The ones that irk me come from folks I really don’t know that well, and the ones that do nothing but boast about the accomplishments of their offspring, and go into detail about their health problems. The wife of a deceased distant relative, who I’ve never met, sends me a Christmas two page single spaced bragging newsletter every year. As best I can tell, none of her children or grandchildren have as yet received a Nobel Prize. However, this seems to be about the only honor they haven’t achieved. 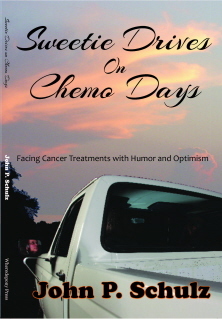 In addition to the description of all the remarkable things they have accomplished over the past year, she further brightens my holiday season with a detailed history of her surgeries and health problems during the previous year. “We’ve had a real good year since last Xmas. We’re right proud of our granddaughter, Lavonia. She was elected president of the sophomore class! It’s the first time in the history of the school that anyone has been elected president of the sophomore class three years in a row. “Our eldes son, Ezra, received a reward for good behavior. It got him out of prison two years early. And we’re right proud of our baby granddaughter, Tessie Lou. She was selected as the poster child for the Zero Population Growth movement. I may also describe my hemorrhoid surgery in detail (no pun intended). That ought to brighten her holiday season as much as she brightens mine.